InnovaPharm ENDURALEAN Metabolism Support & Target Stubborn Areas, Boost Endurance & Enhance Workout Performance! This is a serious trainer product. SERIOUS THERMOGENIC POWDER FOR SERIOUS TRAINERS. 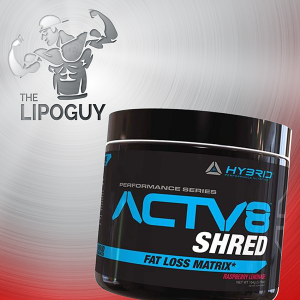 One of the most potent powder based weight loss agents we’ve come across! 84 Loaded scoops yielding at minimum 42 servings at double scoops! BURNING FAT NEVER TASTED SO GOOD! AMAZING FLAVOURS! You can’t cut a capsule in half. 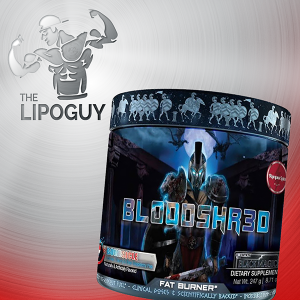 So what do you do when 1 cap of your capsule based fat burner is not strong enough but 2 capsules are just way too powerful? You grab ENDURALEAN, Whether you like 1/2 a scoop, 1 scoop, or 1 1/2 scoops, ENDURALEAN allows your dosing based on your tolerance to caffeine stimulants. Not only can you not cut a capsule in half, but more often than not you can’t fit more than 800mg of ingredient in a single capsule. 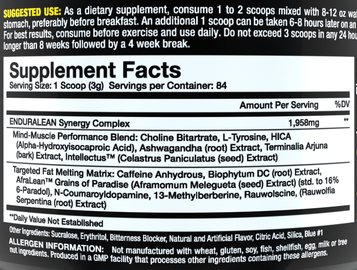 ENDURALEAN more than doubles that amount of ingredient per scoop! All at a whopping 84 scoops per bottle! Fueled by intellectus, this innovative combination provides a clean yet extremely potent focus & energy that will help you push your workouts to new limits allowing you to truly take control of your fat loss. Not only do these two ingredients boost thyroid function, promote healthy blood sugar levels, and protect cardiac tissue, but studies have shown that when taken in combination Ashwagandha and Terminalia Arjuna are extremely effective at enhancing athletic performance, cardiovascular endurance and increasing VO2MAX. With the inclusion of HICA, ENDURALEAN ensures that you will be burning fat, not muscle. Clinical research has shown HICA to be an important muscle protecting agent. 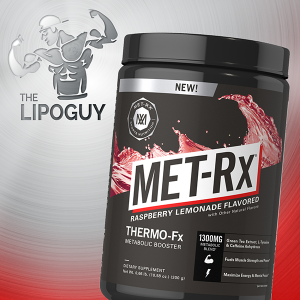 A synergistic fat burning combination that targets stubborn fat and shifts the body to burn fat as its primary energy source. Mix 1-2 scoops mix with 250ml of water on an empty stomach before breakfast OR take on empty stomach 15 minutes before exercise.